Something most children have nightmares about. 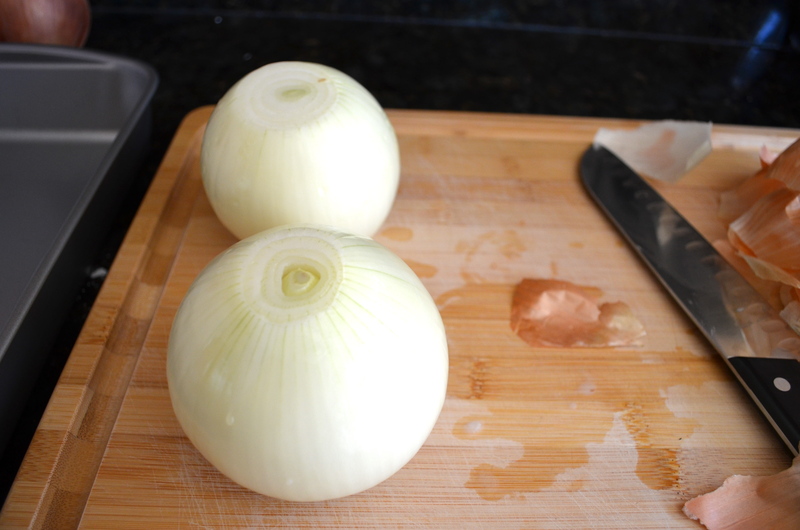 I was a tantrum thrower (as a child), and anything with even the smallest trace of onion sent me into a hissy fit. McDonald’s PLAIN cheeseburger gone awry = screaming/getting a new one/ starving. Red sauce with onions? 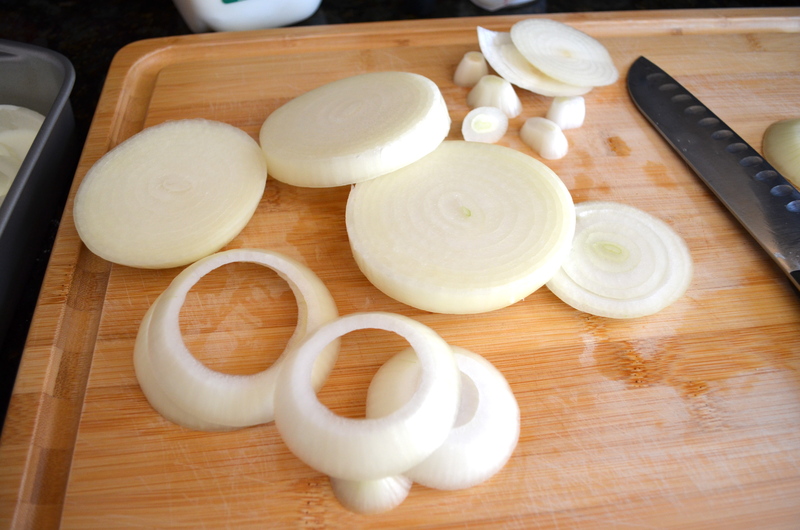 The onions always ended up in a pile on the side of my plate. 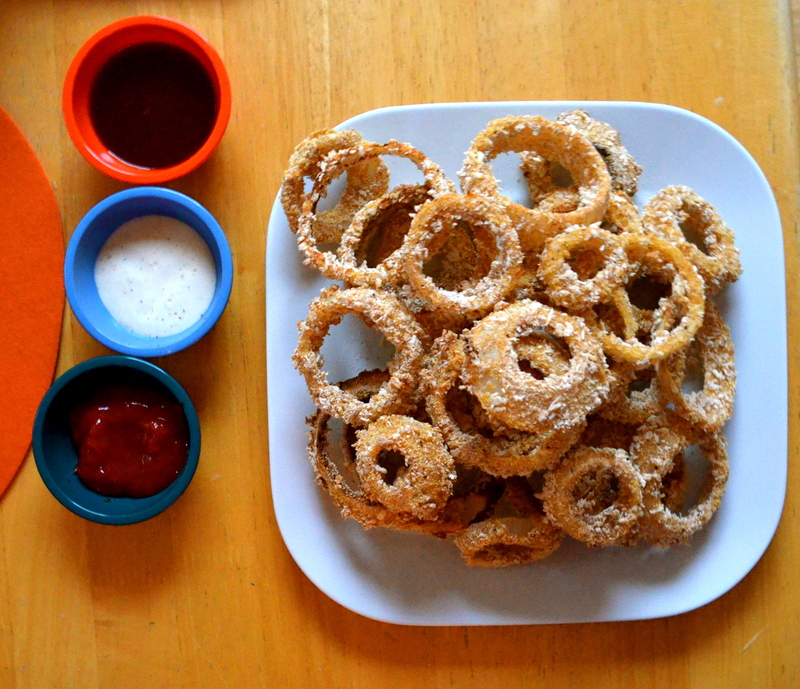 Onion rings? I ate the breading and left the onions in a slimy pile once again. (This was later in life when I actually let something so close to an onion cross my lips). Pizza…wouldn’t touch it if it had onions (let alone anything other than cheese). 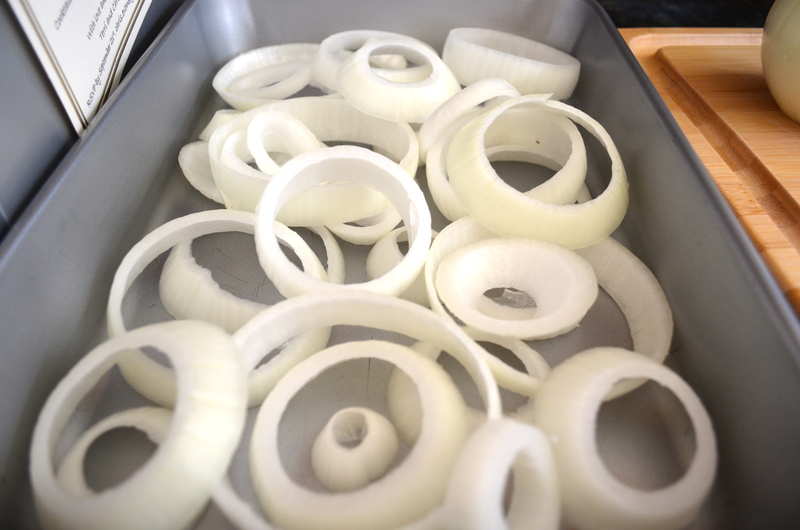 Slice up two medium to large Vidalia or yellow onions into rings. 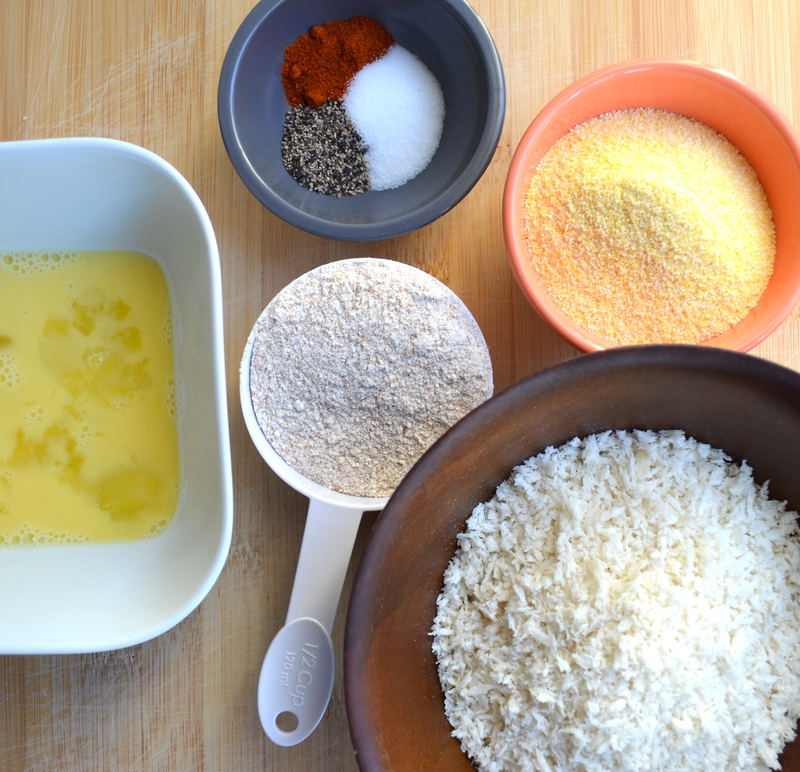 Marinate in buttermilk anywhere between 2-24 hours. (I did 2 because I didn’t plan ahead, but can imagine the longer the better). 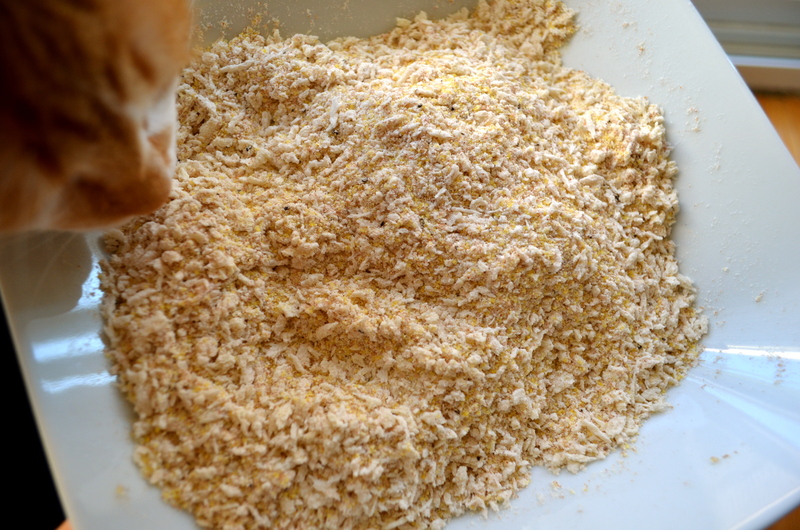 Then combine some panko bread crumbs, whole wheat flour, cornmeal and spices. Can you spot the Ginger? 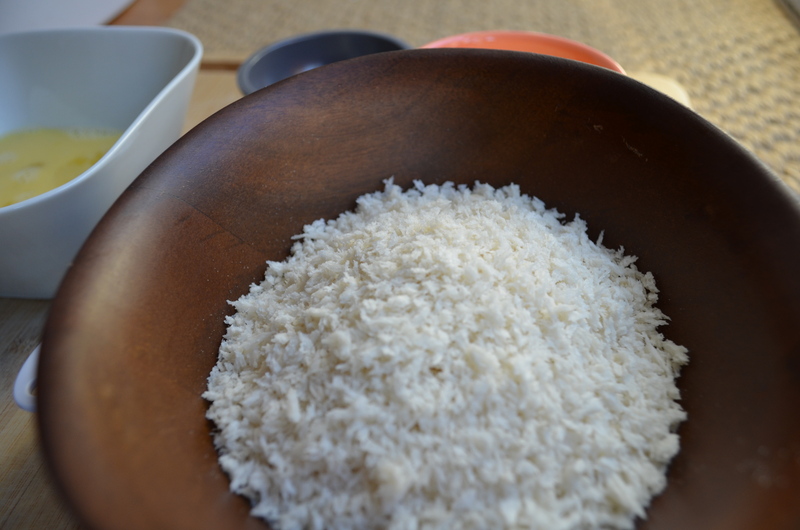 After they marinate, line a baking sheet with parchment and spray with cooking spray. Bake those little babies for about 25 minutes. 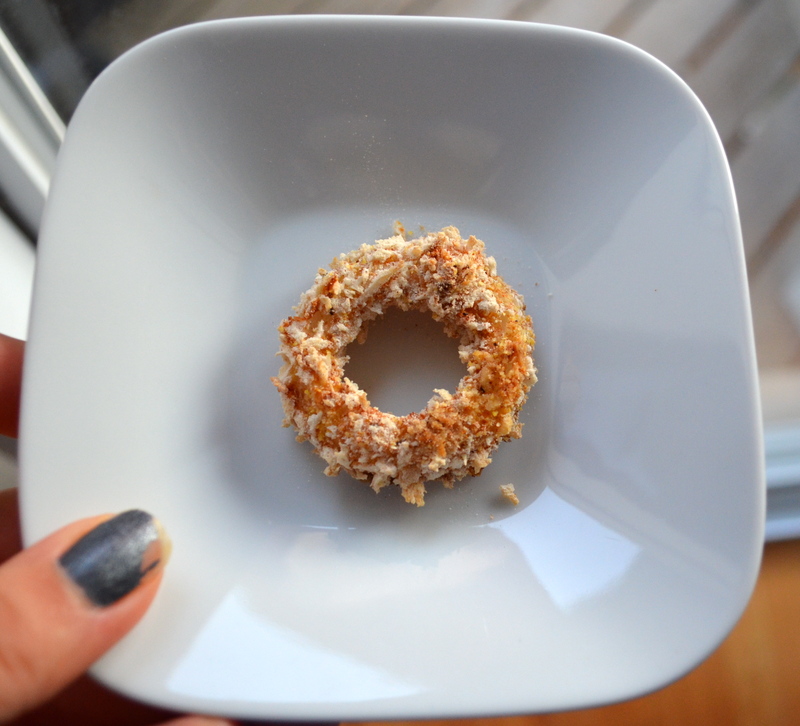 You can give in to your junk food craving without the extreme guilt/fried food stomachache. 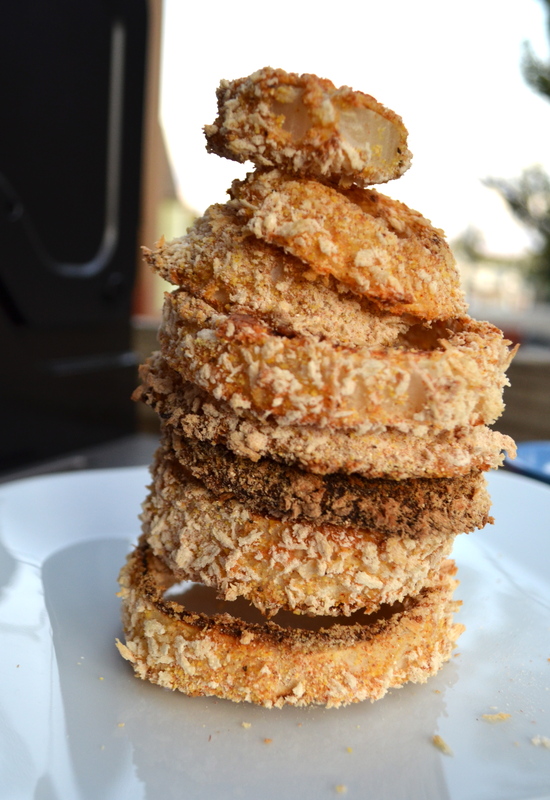 Or you could make fried onion rings and they would probably taste even better! 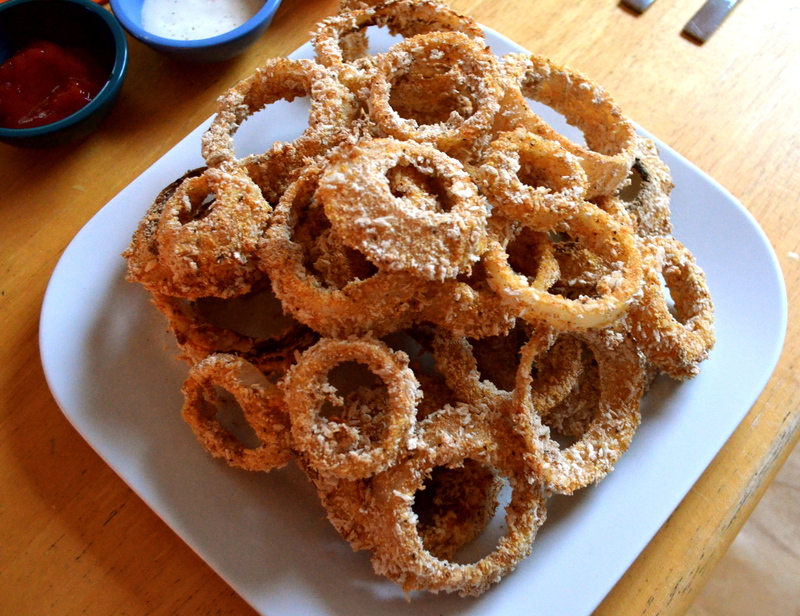 2-24 hours ahead of time, slice onions into rings and soak in buttermilk. 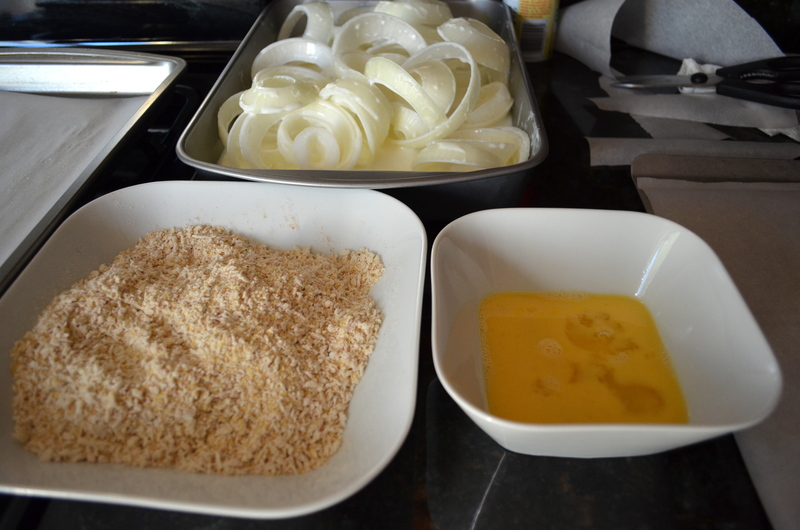 When ready to coat onions, combine panko, cornmeal, flour, salt, pepper, garlic powder and chili powder into a shallow bowl. 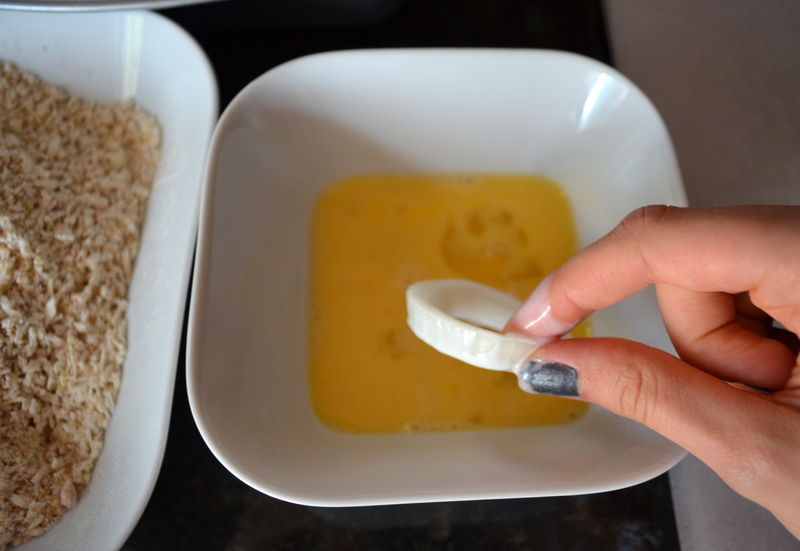 Lightly whip egg and egg white together in a small dish and set next to breading mixture. Line a baking sheet with parchment and spray with non-stick cooking spray. 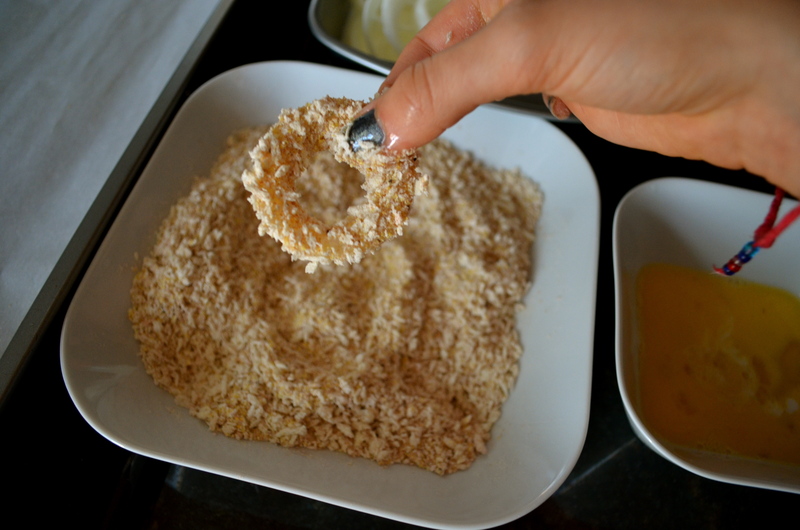 Using one hand, grab an buttermilk soaked onion and dip into egg mixture. 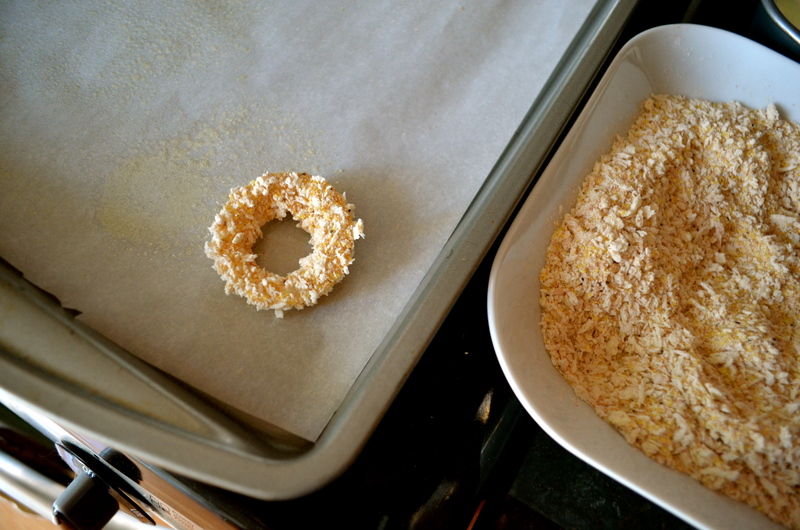 Next set the onion into breading mixture and using your opposite hand, coat the onion, shake of extra, and place onto parchment. 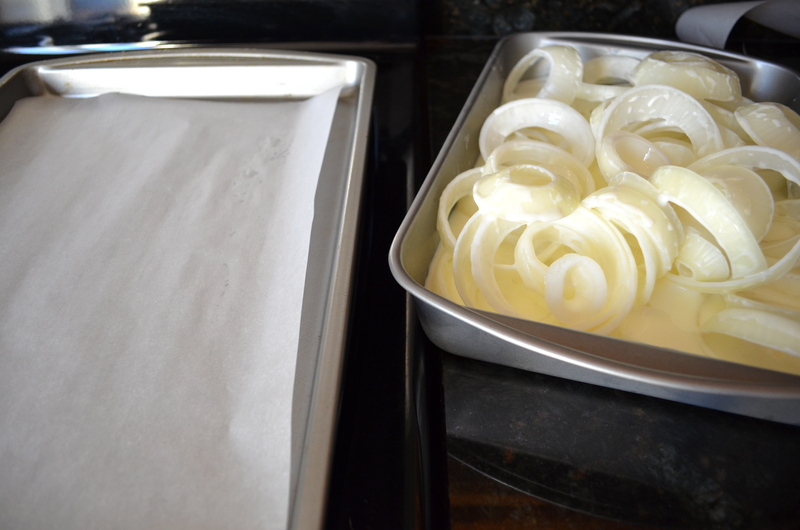 Once the baking sheet is full, toss onions into oven and bake about 15 minutes. 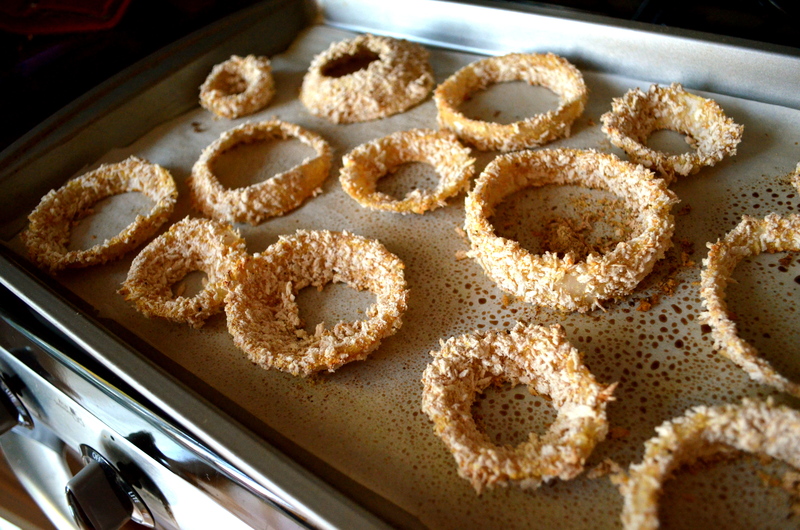 Using tongs, gently flip onions and bake for about 10 more minutes, or until golden brown and crispy. Remove from oven and serve immediately with dipping sauces. I prefer barbeque sauce, ranch and ketchup. 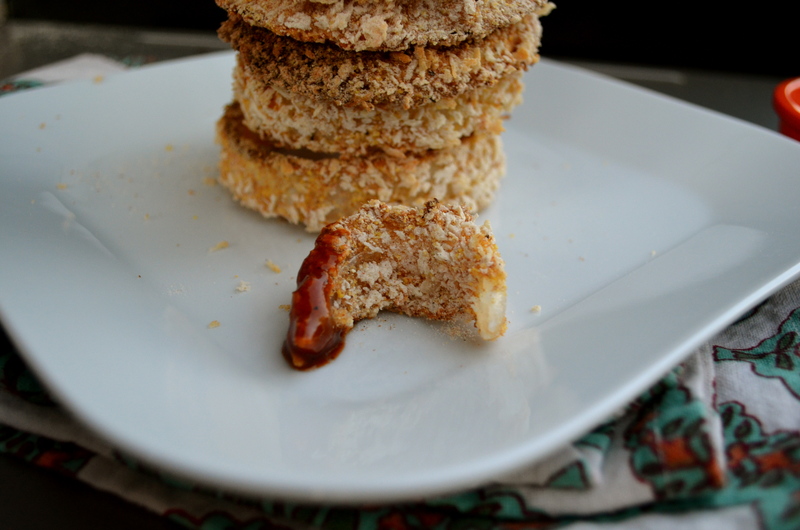 Notes: I would recommend using less breading than I did in my pictures. They were a bit too breaded, and therefore seemed a little dry. 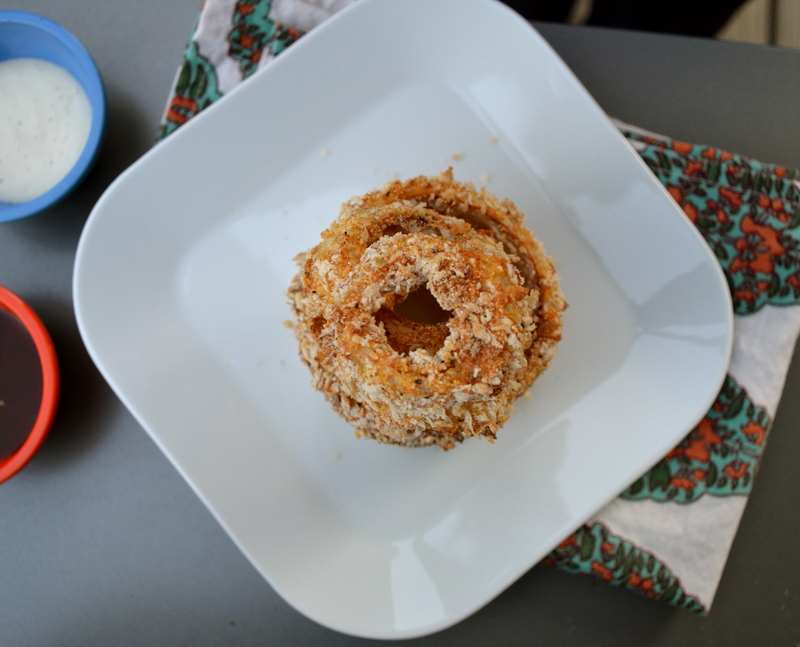 I adapted this recipe from two sources, joy the baker and how sweet eats. Both amazing blogs! 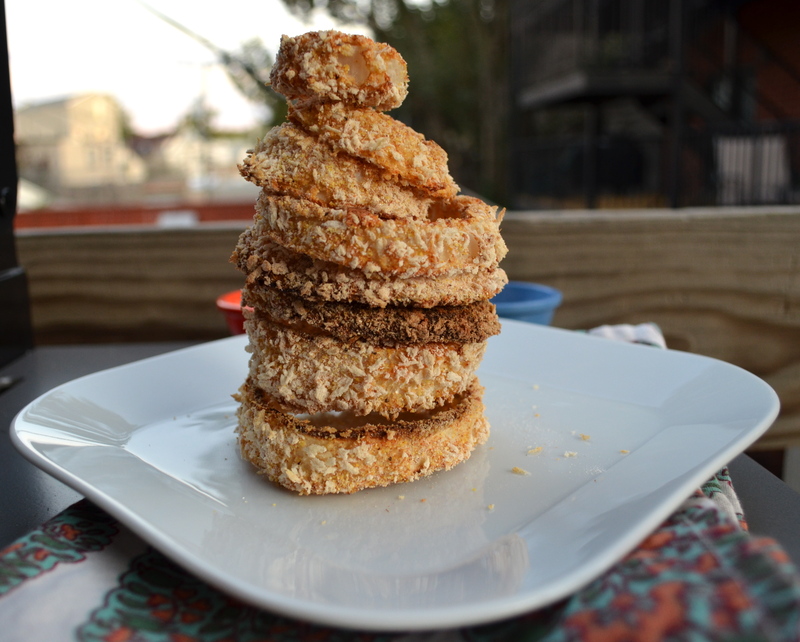 First, forgive me for the times I hid onions in those meals you had at Grandma’s house. Hope you didn’t have nightmares back in your own bed later :o)! 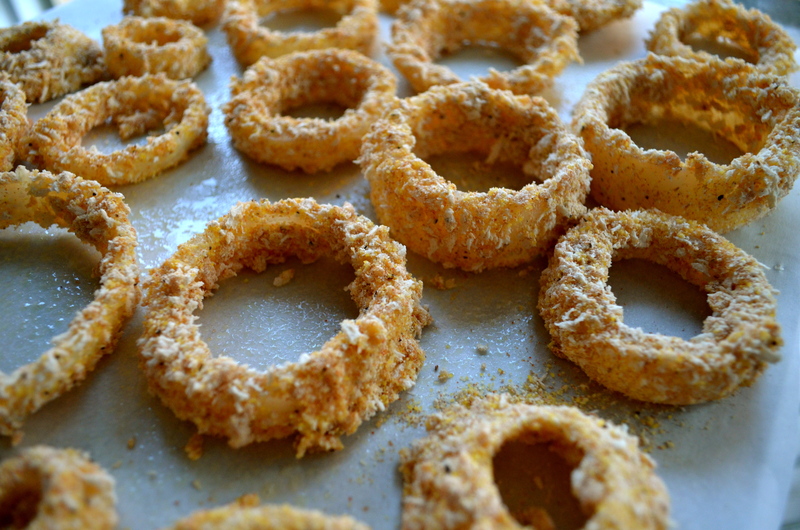 I love your humor, and am going to try the onion rings this weekend. Your blog makes me smile–keep up the good work! Welcome to MIkey’s in My Kitchen!